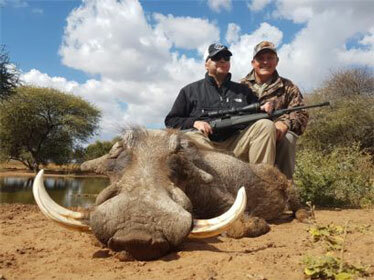 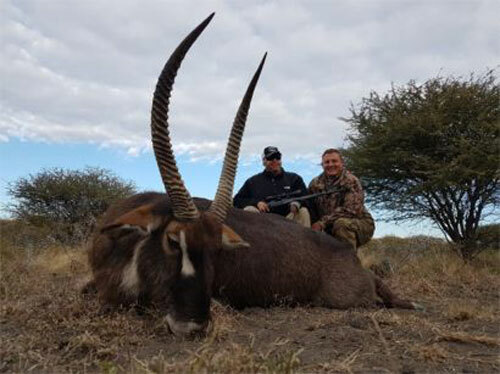 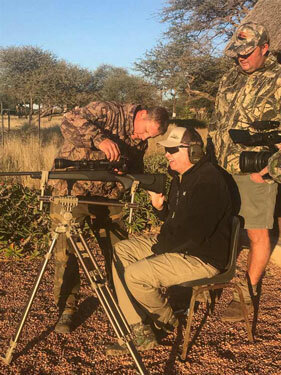 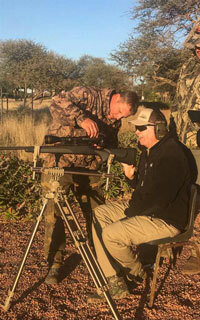 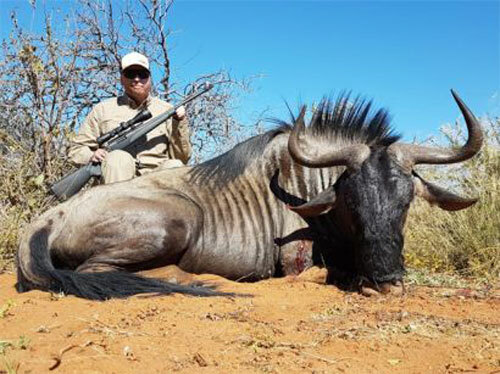 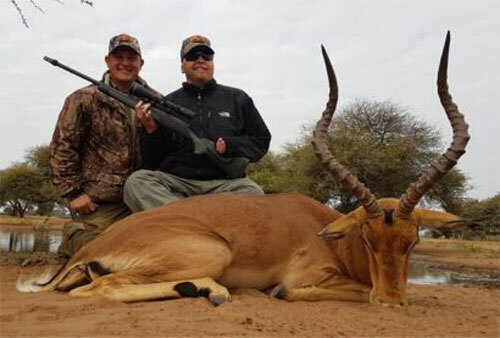 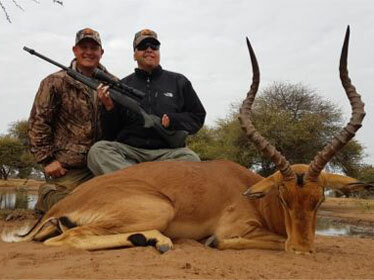 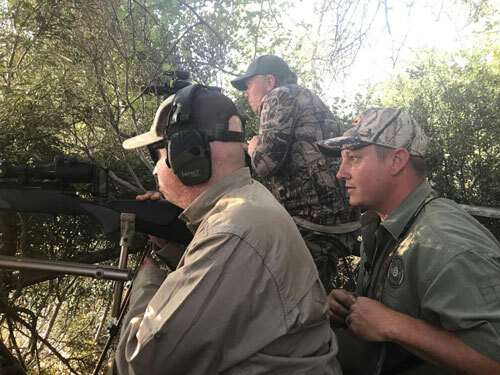 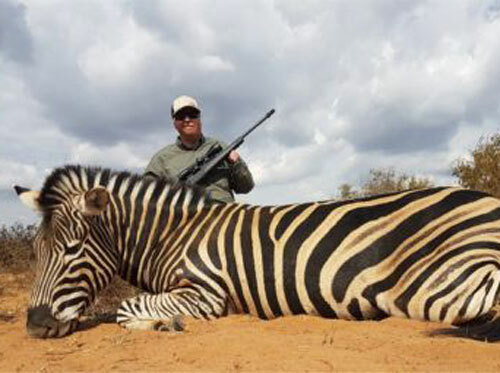 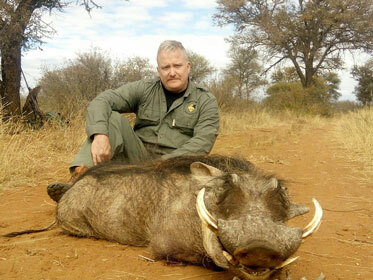 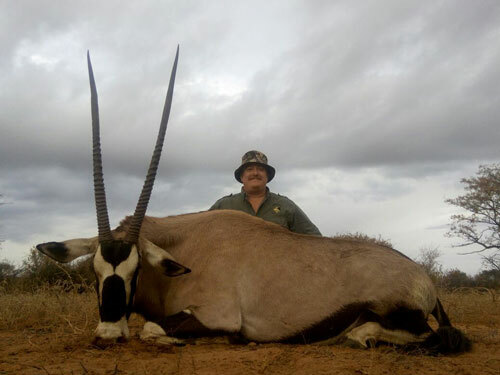 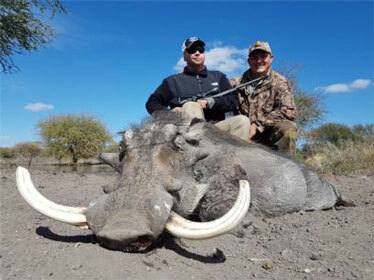 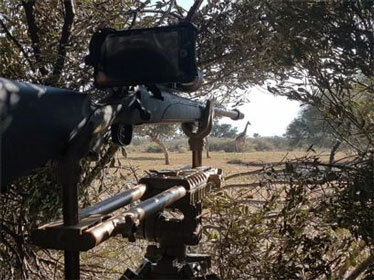 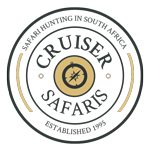 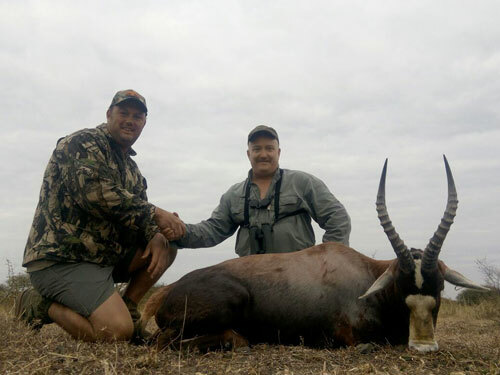 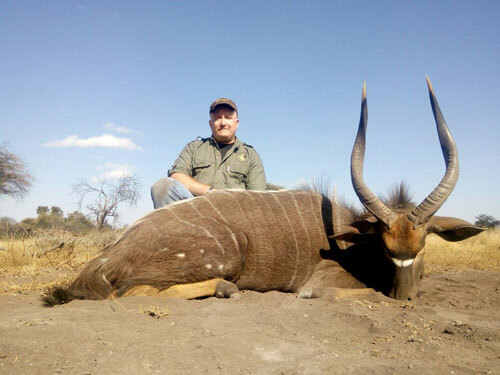 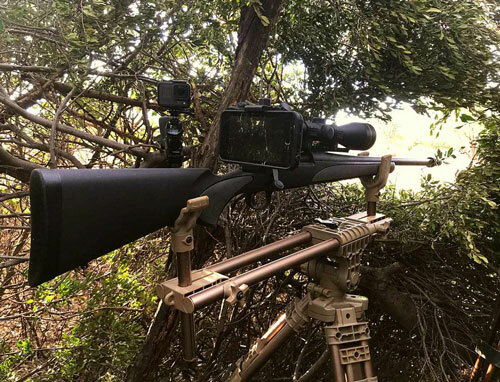 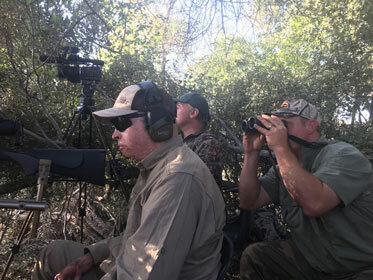 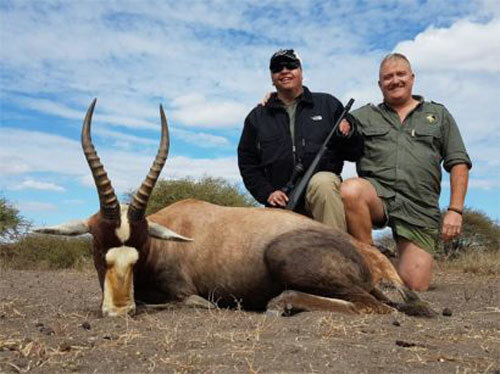 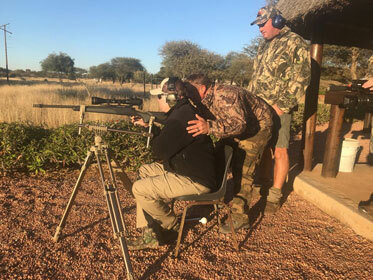 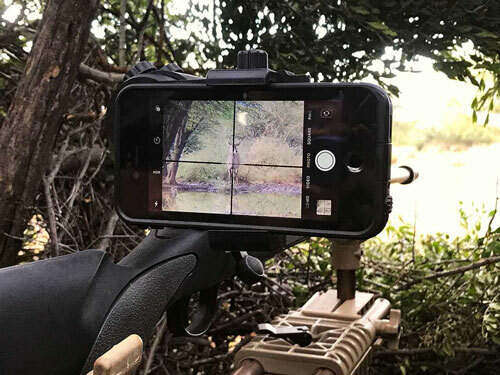 Cruiser Safaris 2018 hunting clients Joel Tavera and Matt Eatman newsletter photos. 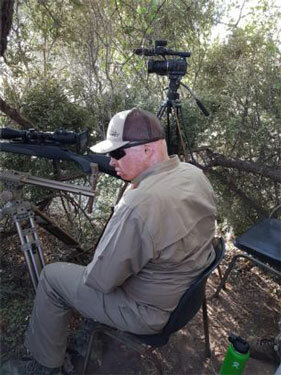 Siting in at the range. 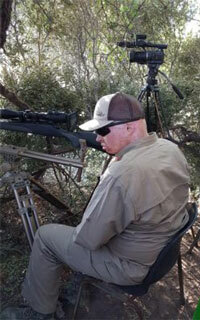 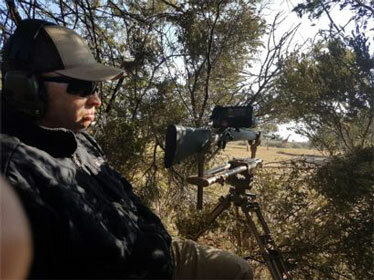 Set up in the hunting blind. 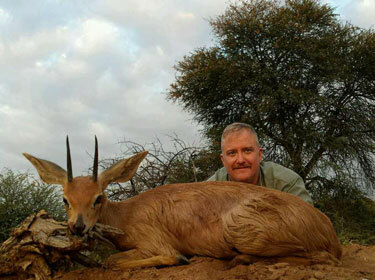 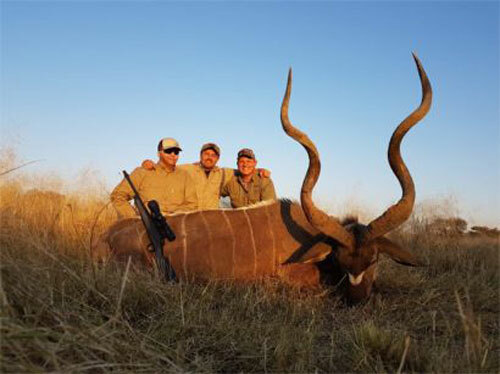 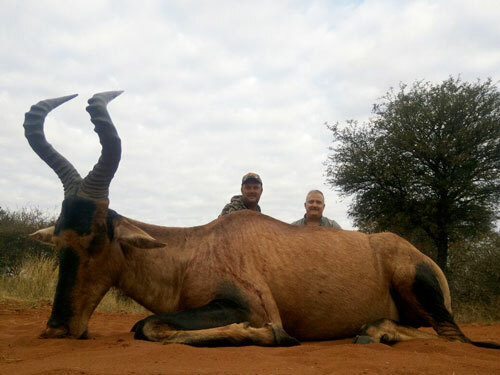 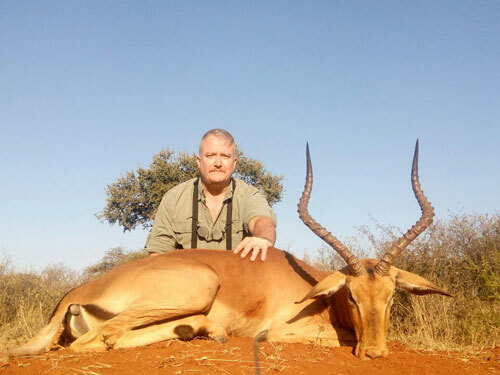 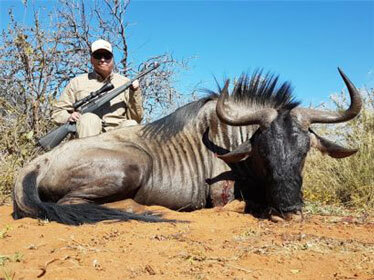 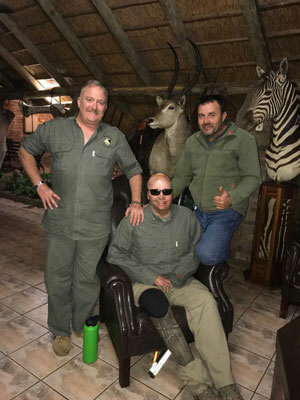 Pieter and PH Graig with Joel and his Kudu.